The verdict on a complaint against Union HRD Minister Smriti Irani for allegedly giving false information about her educational qualifications in affidavits filed with the Election Commission (EC) is likely to pronounced today. Metropolitan Magistrate Akash Jain had on June 1 reserved the order on the plea after hearing arguments on the aspect of limitation and whether cognizance can be taken or not. Freelance writer Ahmer Khan, who had filed the complaint, had said that there were several discrepancies in Irani’s affidavits filed before the EC. 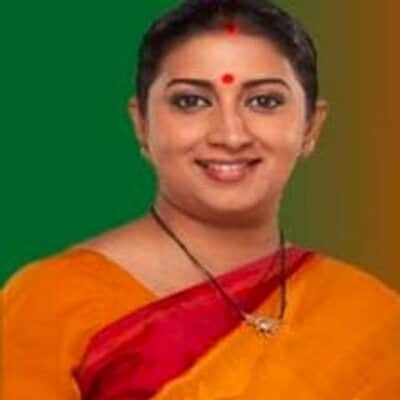 In the affidavit filed for nomination of April 16, 2014 Lok Sabha elections from Amethi constituency in Uttar Pradesh, Irani said she had completed Bachelor of Commerce first year from School of Open Learning, DU. The complaint also said that Irani not only lied on oath about her educational qualifications but also lied about other facts such as her assets when she filed her nomination papers for contesting elections. It may be mentioned that after the raging controversy over her educational degree, Irani has also made an assertion that she has a degree from the prestigious Yale University in the US. The educational qualification of ministers has been a matter of controversy for the past some time. Former Delhi Law Minister Jitender Singh Tomar has been sent to Tihar jail after a Delhi court refused him bail in connection with the fake degree case. Tomar was arrested on June 9 on charges of fabricating documents and submitting fake degrees while filing nomination for the Delhi Assembly polls held in February this year. He will be produced before the chief judicial magistrate on Monday for a hearing on his bail application.